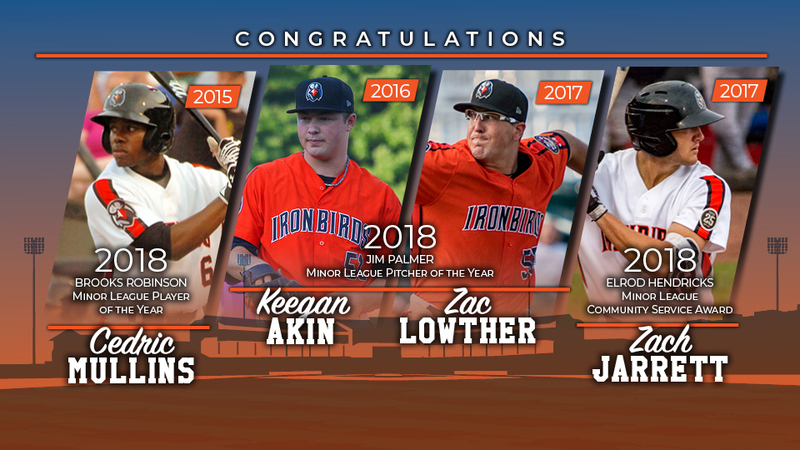 The Orioles today announced the winners of their player development and scouting awards for 2018, including OF CEDRIC MULLINS as the club's top minor league player and LHP KEEGAN AKIN and LHP ZAC LOWTHER as the club's top minor league pitchers. The winners will be honored in an on-field ceremony on Saturday, September 15, before the game against the Chicago White Sox, with awards presented by Orioles Director of Scouting GARY RAJSICH, Orioles Director of Minor League Operations KENT QUALLS, and Orioles Special Advisor and Community Liaison BROOKS ROBINSON. OF CEDRIC MULLINS, the Brooks Robinson Minor League Player of the Year, played in 109 games between Double-A Bowie and Triple-A Norfolk. Over 49 games with Bowie, he batted .313/.362/.512 (63-for-201) with 12 doubles, five triples, six home runs, 36 runs, and 28 RBI. He led the Baysox in hitting and was named the Eastern League Player of the Week for the week ending May 27. Mullins was ranked as the Orioles number nine prospect in Baseball America's Midseason prospect rankings. He was promoted to Triple-A Norfolk on June 1 and played in 60 games for the Tides, batting .269/.333/.438 (65-for-242) with 17 doubles, three triples, six home runs, 41 runs, 19 RBI, and 12 stolen bases. Mullins was selected by the Orioles in the 13th round of the 2015 First-Year Player Draft. He made his Major League debut on August 10, 2018 vs. Boston. He became the first player in Orioles history to record three hits in their Major League debut. He recorded five doubles in his first nine games, becoming the first Orioles player to do so since 2002. Over 28 games with the Orioles this season, Mullins has batted .240/.321/.400 (24-for-100) with seven doubles, three home runs, 16 runs scored, and six RBI. OF ZACH JARRETT has been named this year's recipient of the Elrod Hendricks Minor League Community Service Award. Jarrett was eager to volunteer his time at many community appearances in the Delmarva area this season. He helped lead the Shorebirds baseball camps throughout the summer, teaching kids the fundamentals of hitting and fielding. He also helped with the summer reading program, visiting the library and reading to over 75 children, while offering tips and advice on how to achieve their goals, manage their time, and have fun. Jarrett was a regular down the third base wall prior to home games, consistently signing autographs and taking pictures with fans before Shorebirds games. He was an integral part in helping Delmarva win the South Atlantic League Community Service Award. Jarrett played in 129 games for Delmarva, hitting .277/.342/.437 (139-for-501) with 26 doubles, six triples, 14 home runs, 74 runs, and 72 RBI. He was named both a Mid-Season and Postseason South Atlantic League All-Star. He was selected by the Orioles in the 28th round of the 2017 First-Year Player Draft out of the University of North Carolina at Charlotte. Triple-A Norfolk Manager RON JOHNSON has been named the winner of the Cal Ripken, Sr. Player Development Award, named for the late Orioles coach and manager who is widely regarded as the architect of "The Oriole Way." Each year, a minor league staff member who exemplifies Ripken's qualities as an instructor is recognized with the award. Johnson helped develop and send off 12 former Tides players to make their Major League debuts this season, part of the group of 14 total Orioles players to make their debuts this season, tied for the most in team history (1955). This is Johnson's second Cal Ripken, Sr. Award, also taking home the honors in 2015. 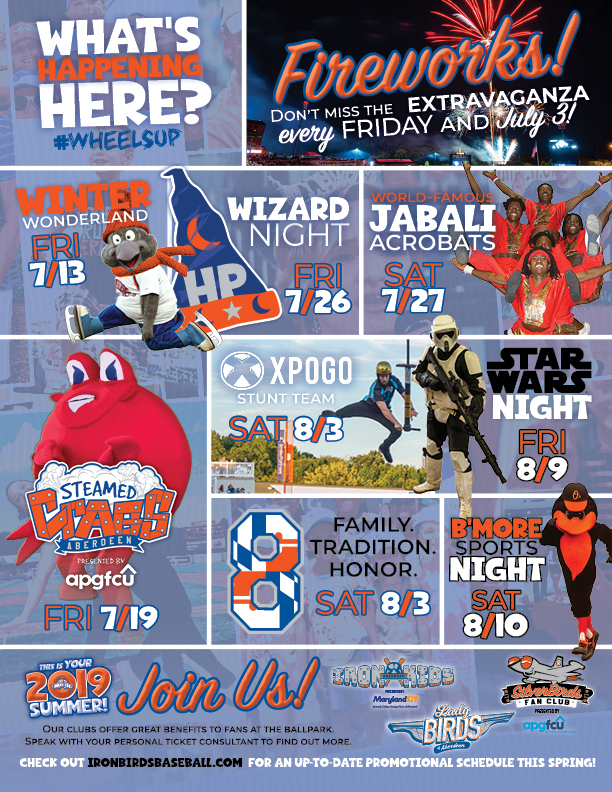 Johnson just completed his seventh season with the Tides and eclipsed the 1,000 game mark as manager of Norfolk in the third to last game of the season. He began his professional baseball coaching career in 1986 with the Kanas City Royals organization. He managed his first team, Class A-Advanced Baseball City in the Florida State League in 1992. He was the Red Sox first base coach from 2010-11, before returning to managing in 2012 with Norfolk where he has spent his last seven seasons. Area scout RICH MORALES will receive the Jim Russo Scout of the Year Award, named in honor of the man who spent 33 years in various scouting capacities with the Orioles beginning with their move from St. Louis in 1954. Morales was the signing scout for three players who made their Major League debuts this season. He was the signing scout for 2018 Brooks Robinson Minor League Player of the Year OF CEDRIC MULLINS, signing Mullins in the 13th round out of Campbell University in 2015. Mullins made his Major League debut on August 10 and has played in 28 games for the Orioles this season. He signed C AUSTIN WYNNS in round 10 out of Fresno State University in 2013. Wynns made his Major League debut on June 5 and has appeared in 32 games for the Orioles this season. He also signed RHP RYAN MEISINGER in round 11 out of Radford University in 2015. Meisinger made his Major League debut on June 29 and has appeared in 12 games for the O's this season. Additionally, the Orioles will recognize PBATS Gulf Coast League Trainer of the Year ADAM SPARKS. Sparks completed his first season with the Orioles organization this past year, working as the GCL Orioles Athletic Trainer. He was selected by his peers as the GCL Trainer of the year, awarded by the Professional Baseball Athletics Trainer's Association.